PHP is bad but more bad and not corrected is a bad Header. Here to Remove Expires: Thu, 19 Nov 1981 PHP Header in Ubuntu Server running Apache or Nginx. 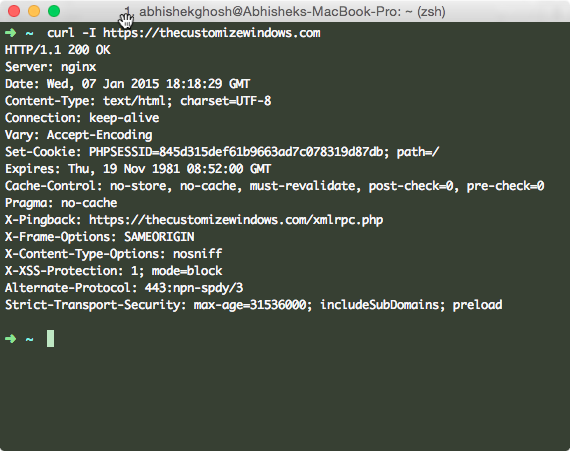 Why Apache2 or Nginx, practically it will work for any web server software that can run PHP. This is not a problem of WP Super Cache or any PHP software developer. Credit (pun intended) is of PHP. It is tad hard to know what actually add this stuff. PHP is bad, if you want to read more. To encourage caching, in short. This is 2015, may be you will read this in 3015, PHP will continue this thing. If Expire Header is in minus years, it simply means Caching is discouraged. It is birthday of the developer and responsible who compiled the PHP.ini. How much it deliver pain on Shared Hosting, it is very difficult to say. On our Setup, we need to Edit all the nodes manually. His father and mother had successful sexual reproduction and gave him birth on that day, thats why he added. He could add an X-Header : Parents-Sexually-Active. That is his birthday. He has a worst PHP.net looking website and claims as Magento Expert. Very small person, telling the name has big problem – he has 2 followers on GitHub, 281 Known on LinkedIn. He will become popular. From WordPress Cache Plugin to a simple script, human get confused what to do. We are giving two options to remove Expires Thu, 19 Nov 1981 PHP Header in Ubuntu Server. Other Linux distro will have kind of same method. The moron’s work add more problem with HSTS and plain HTTPS and SSL. Adding Internationally notable, honored person like Linus Trovalis or Richard M. Stallman was practical, if he had a moral. None in this World would complain if the date was 25th December, all zero. Any religion will honor Jesus Christ’s sayings, way of life. You will not find anything on his website – it says in excerpt, he is a big moron and you should hire him. Head will get more hot, if you see the table’s header – “Possible values”. Possible values? Possible values because changing the setting might not work as defined. then force MIME type expires. Very difficult problem, custom solution is needed for your problem. Open the file with nano, we do not need vi for this small work, we are imbecile, our death of birth is not important, hence nano. But, you can override with value in /etc/hhvm/config.hdf. Do not try to edit any session.c like settings file. when a production server will die, you’ll understand why PHP is bad. This Article Has Been Shared 3432 Times! There are certain commonly used commands for managing Linux Servers. Here are some useful grep, cut examples with unix pipelining for SSH. 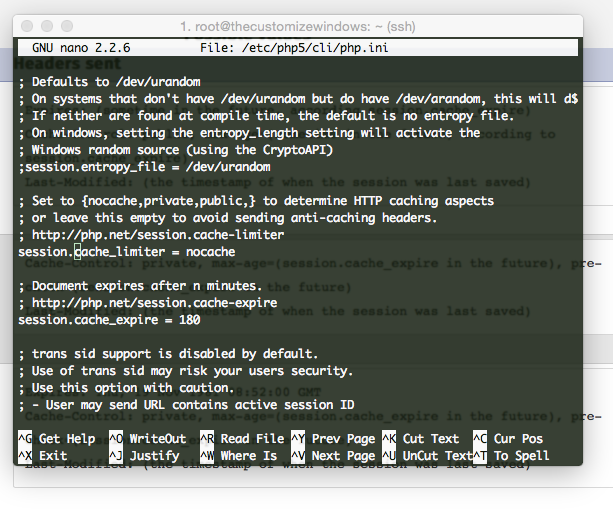 It is Quite Pathetic To Hold the Delete/Backspace Key of Any in Text Editor Like Nano or Vi in SSH Session. Here is a Practical Cheat Sheet. Video Guide for Creating Ubuntu Live USB shows how easily one can Create Bootable Ubunbu Live USB With UNetbootin For Mac or Windows.We have shown with Windows. Installing Wordpress on FreeBSD on Rackspace Cloud Server is a bit different than on usual Linux distros, practically it is kind of installing on Mac OS X. Cite this article as: Abhishek Ghosh, "Remove Expires: Thu, 19 Nov 1981 PHP Header in Ubuntu Server," in The Customize Windows, January 7, 2015, April 21, 2019, https://thecustomizewindows.com/2015/01/remove-expires-thu-19-nov-1981-php-header-ubuntu-server/.